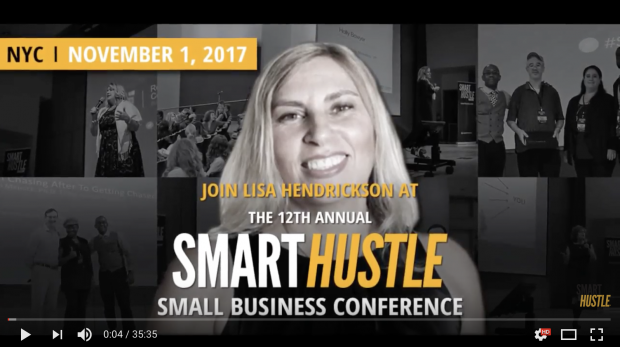 The 13th Annual Smart Hustle Small Business Conference with Seth Godin takes place on Nov 8, 2018 - http://www.smarthustle.com/conference. We wanted to give you a taste of what to expect and MORE at this years conference, by recapping a little of one of last year’s presentation. Lisa Hendrickson, founder and CEO of Spark City shared insights to the pricing challenges many business owners face. Pricing is the heartbeat of the company and its goal is to create a reliable model of profitability from the sales that your business generates. Your goal as a business owner is to create stable margins in the business. Even though technology, business strategies, and your industry’s trends are changing, pricing models have, for the most part, remained the same over the years. Here are a just a few of the pricing models Lisa Hendrickson discussed during last year’s presentation. Competitive pricing follows the idea of “My competitors are charging this much for that, so I can only charge this for what.” Lisa showed how this model allows your competition to determine how much you make and how you run your business. Small business owners who use the volume pricing model tend to think, “I’ll buy a ton of this stuff, and sell it all.” What ends up happening however, is that you are left with a lot of inventory. It stays in your storage and gradually loses its value. In the end, you sell it for a lower price and lose more money than you gained. Loyalty pricing is a business owner’s way of trying to keep customers coming back to them by offering them perks for continual patronization. These perks often include giving items for free, but doing so undercuts the value of your good customers. Instead, you could throw in an extra product and raise the price a little. Customers would still pay for it, bringing in greater profit. Through these many pricing models, you may maintain a steady flow of cash, but you may not be able to gain reasonable profit for your business. Lisa Hendrickson gave business owners her three steps to creating more profit. Rewire your entrepreneur mindset. We, as small business owners, are really passionate advocates for our brand/business.. But we need to go beyond our brand-centered mindset to create different opportunities thsat our customers want. Start with customer segmentation then what value your customers receive. Maintain a customer-to-product pricing system. Set the prices according to the customer segment you are serving. Determine who you want to serve and set the prices accordingly. Determine the difference between discounting customers and providing a valuable experience to buyers that want to pay for it. Entrepreneurs mistakenly assume that all customers should be treated equally. Instead of focusing on customers whose only concern is finding the lowest prices, cultivate relationships with customers who are passionate about your brand/business.